Lisa Bogart's "Knit with Love" encourages knitters with the stories and knitting skills that are shared. Bogart begins the book with "Knitting can't feed the hungry, fight crime, or stop global warming. But a hand-knit sweater warms a cold child. A cozy scarf eases a homeless night. A tiny hat comforts a preemie head. A lovely prayer shawl wraps a worried patient in peace. Knitting quietly eases some of the hurts in the world. God needs eager knitters to supply these comforts." What a beautiful way to look at the task and art of knitting! This is a quick, inspiring read that will have you picking up your knitting needles or filling you with the longing to learn how to knit! The book is well-written and well-organized with a different focus for each chapter. A must read for anyone who loves to knit and anyone who needs a little warmth and comfort! "A Necessary Deception" by Laurie Alice Eakes is the first novel in The Daughters of Bainbridge House series. You will be transported to early 19th century England with vivid descriptions and historical details. Lydia Gale helps a French prisoner get out of an English prison on parole as she believed this was a way to thank him for helping her deceased husband and she never dreamed she'd see him again. However, as London Season is taking off, who comes knocking at the door, the French prisoner, Christien. Lydia finds herself involved in a massive web of deceit, treachery, and love and she is unsure of who to trust and what to believe. Lydia not only must protect herself, but her parents and her younger sisters as well as she does not want anything to tarnish their name. This is a well-written book that is filled with detail. The secrets and deceptions abound in this novel and the reader will be spending the time unraveling it throughout. 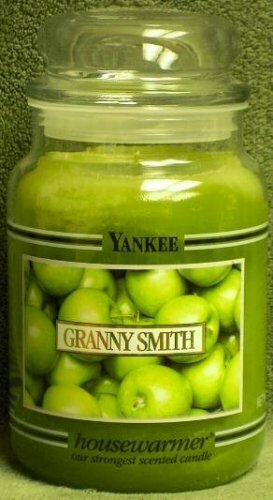 This has been my candle of choice to burn lately, the smell is just so wonderful and true to the scent of actual granny smith apples! Last Saturday we went to an apple orchard and picked 5 bushels of apples. There is nothing like apples, an orchard, the sight and smell of this to put you in an autumn state of mind! So now it means time for canning apple pie fillings, making and freezing applesauce and smelling that scent of apples throughout the house. 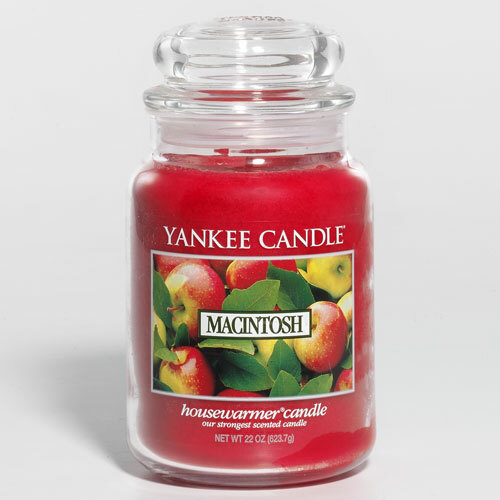 I know during these next few days I'm going to be burning the macintosh scent as well as this is another "appley" scent. What is your October scent? 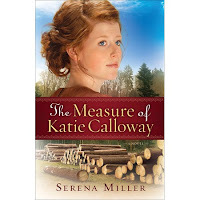 Serena Miller's historical fiction novel, "The Measure of Katie Calloway" is a must-read for everyone who enjoys historical romance! A new author to me, Miller drew me into the story and I am hoping she comes out with many more novels! Katie Calloway is living a difficult life being that she is a Yankee married to a Confederate who has returned home from fighting in the Civil War to find his home destroyed. Suffering from the emotional and physical abuse from Harlan was one thing to deal with, but when Katie discovers that Harlan is trying to kill her she decides she must run away. Katie flees with her little brother Ned who is in her care to a place where she knows Harlan will not look for her, Michigan. Katie bakes an apple pie and is offered the job of being a cook, but not just a cook, a cook at a lumber camp. Changing her name to Katie Smith and hiding her past Katie begins a whole new life and gains self-respect and courage along with this new life. However, Katie is also being to love her employer, Robert, but she is still legally married. In the midst of trials and also joy Katie and Robert must both face their pasts, lean on God and begin to heal. This book is very well-written and is so enjoyable to read. The characters are all so real and I felt like I was at the camp with them. There are just enough twists to the story keeping it interesting and the story moves along at a good pace, although I did not want the story to end as I wanted to keep on spending time with the characters. The time period is so vividly portrayed and although I have read many books set during the civil war and right after, I have never read a book quite like this as it is set mainly in a lumber camp. Everything about this book was well done and just an excellent book overall! Diann Mills' latest novel, "Attracted to Fire" is one of the best books I had read lately! Filled with suspense, romance, deception and overcoming one's past, this book kept me reading page after page, but at the same time I did not want the book to end. Special Agents Megan Connors and Ash Zinders are assigned to the same detail - protecting the Vice-President's daughter Lindsay. This is not as easy as it seems as it appears that someone is leaking information furthering putting Lindsay in danger, people are being killed and attraction is building between Megan and Ash. Lindsay had gotten pulled into the dark world of drugs, alcohol and deception, but she cannot seem to find a way out or whom she can actually trust. Filled with twists and turns and "good" people really on the wrong side and those who have gotten sucked in without hope of staying alive if they try to escape will keep you on the edge of your seat reading. The characters are so likable and I found myself trusting both Megan and Ash along with Lindsay and Chip. I was surprised at a few twists along the way and finding out who was on what side, and I was hoping that some of the characters were not tangled up in the mess. I highly recommend this book and I am hoping that Mills will write some more novels with some of these same characters in them! "Hello, Hollywood!," book 2 in Janice Thompson's Backstage Pass series is now available! You will for sure want to have read the first book in the series ("Stars Collide") before reading this as it picks up where book 1 left off and the characters are so fun to read about you won't want to miss out on a single page with them! Athena Pappas is the head script writer for a popular sitcom, but suddenly a comedian is hired to write on the team to hopefully boost ratings. It's hard to focus at work when she is fearful of her job being given away to this newcomer and also when there is definite chemistry between the two as well! Stephen is seeking stability and a better life for his daughter and is thrilled with the chance to write for the popular show. What becomes even more important is his relationship with not only Athena but her entire family and also how his daughter seems at home with them as well. Athena and Stephen are pros at scripting the lives of the characters on the show, but real life does not follow a script as they are off on a journey towards love filled with doubt, fear, secrets and hope. I really enjoyed this book and I have to say I like it better than the first and I really enjoyed that one as well! I loved getting to know all of the characters better in this novel - Kat, Scott, Lenora, Rex, and meeting a bunch of new ones including Aunt Melina and Brooke who both were well-developed characters throughout the story. There are so many different things going on in this story which makes it realistic as there are always a million things going on at once in families. I loved the roles of the various family members and how they all fit into the story and that they all work together at the deli, I loved the parts of the story that took place at the deli! This is a great, humor filled romance, highly recommended! Book Review - "Getting Back Up When Life Knocks You Down"
No one has a perfect life, but sometimes it seems that life is rougher at times than ones with one bad thing happening after another. Jeremy Kingsley has written a book to help each and every one of us meets those challenges and work through the hard times, "Getting Back Up When Life Knocks You Down." There are a ton of things that can make us feel "knocked down" - financial difficulties, loss of a job, marriage and/or family issues, illness, the list could go on and on. The important thing that is stressed and important to remember is that it is how you face these challenges and difficulties and how you choose to deal with them. You did not choose to have to deal with these hardships, but you do have a choice of how to respond and handle them. Filled with personal stories, Biblical verses, passages and examples, this book is sure to be an encouragement! "Falls Like Lightning" is the first Shawn Grady novel that I have read and it will not be the last! This is a well-written story filled with action and love. Silas and Ellie have a past and suddenly after years apart they are thrown together on the job as Silas is a smokejumper and Ellie a pilot. Seeing each other brings back memories and issues from the past and they are both currently dealing with other things in their life as the moment besides the high stress jobs that they are both involved with. In the midst of a huge fire these two realize that they are dealing with more than they both ever imagined and their feelings may have changed. This is a great story that moves right along and will keep you wanting to read until you the end! Ellie and Silas are very "real" characters struggling with balancing their personal lives and their work. The emotions that they experience are very real as well. The high energy of the job jumps off the pages and you will be hooked on Grady's style of writing!